In Vitalhotel Gosau you get to enjoy exceptional celebrations. 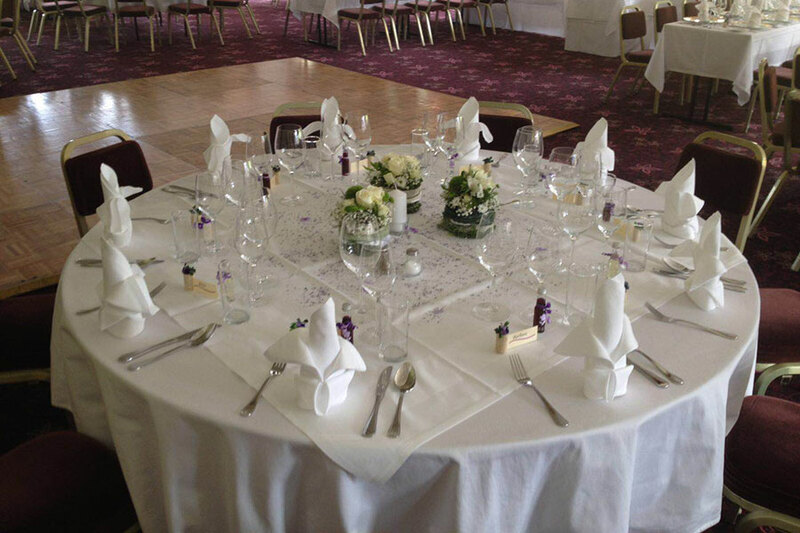 An expert and friendly event team, well-equipped rooms and bespoke catering are part and parcel of the inclusive package on offer in the event hotel. 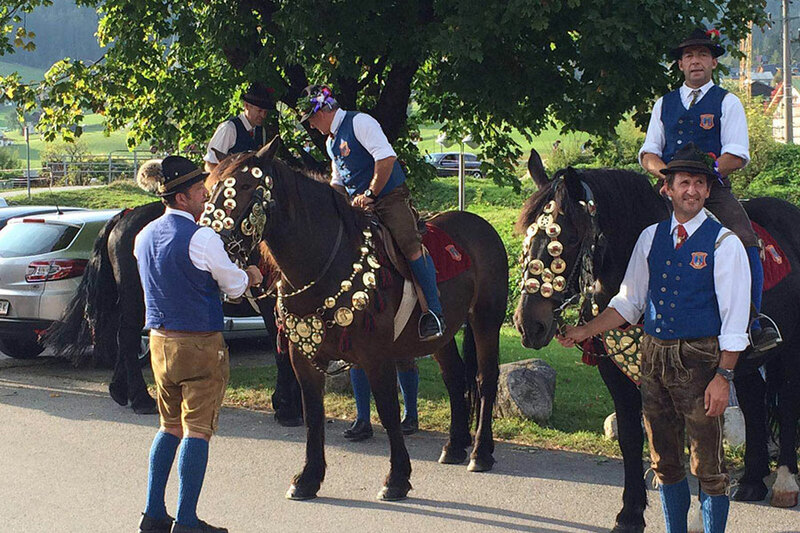 Coupled with the impressive natural surroundings of the idyllic mountain village of Gosau every celebration quickly becomes a unique experience – one you won't forget in a hurry. A bridal couple want to spend the 'loveliest day in their lives' in an exceptional place. Vitalhotel Gosau is the very place. 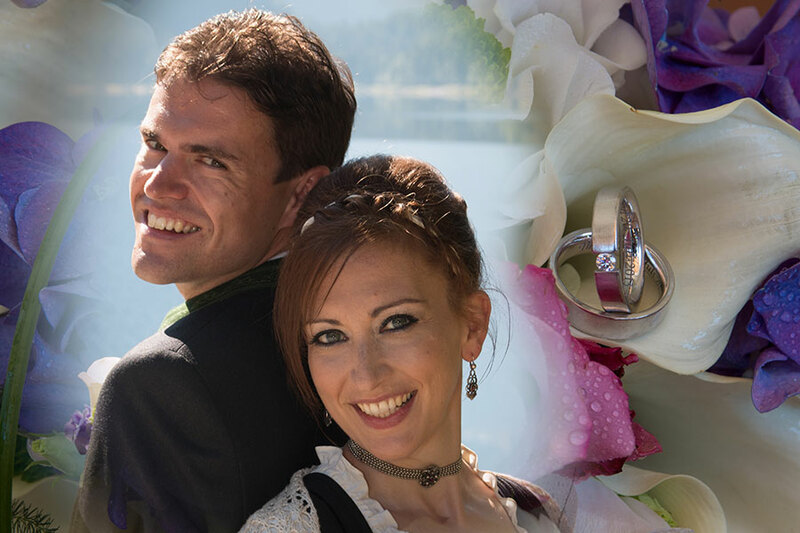 In the heart of the Salzkammergut, one of the loveliest areas in Austria, there is everything you could want for your wedding. The winter garden, the sun terrace and the extensive gardens are popular places for wedding celebrations. The reasons for this are apparent: absolutely tranquil location, the views to the lush pastures and impressive mountains in the Dachstein area and cordial hospitality. It is definitely not hard to get in a romantic mood there. From event equipment to the flowers and stylists, to the wedding cake and the photography – the team in Vitalhotel Gosau are happy to help you organise your celebrations and the event team are also here to lend a hand when it comes to planning your wedding party. Would you like to enjoy a romantic horse-drawn carriage ride in the bottom of the valley? 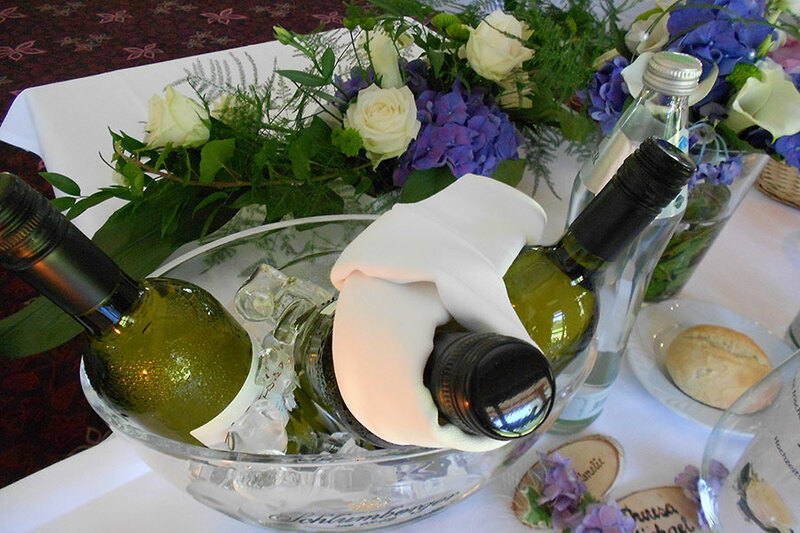 No problem at all – the main thing is that your wedding celebration will be unforgettable! 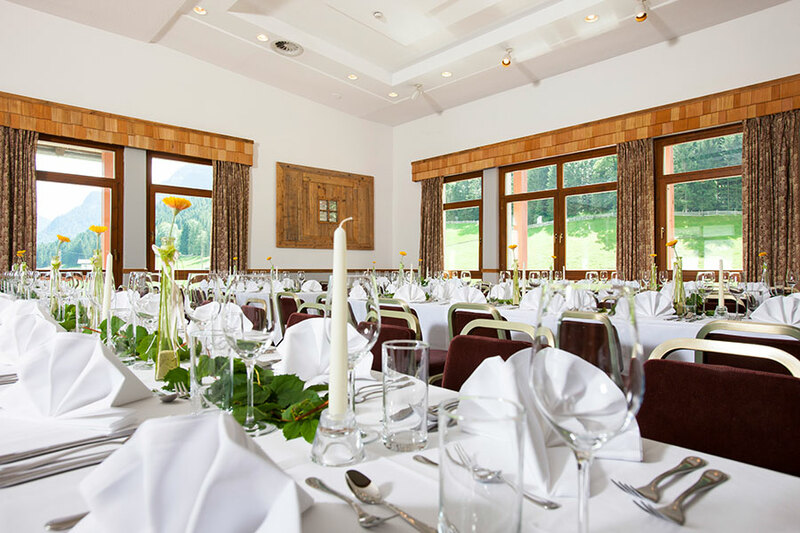 During your event in the event hotel in Gosau you get to enjoy an ideal location – quick and easy to get to from many different places. Parking is available free of charge for guests. Once you get to the hotel, you can be sure that you will forget about the daily grind and look forward to celebrating with us. In the hotel's own business area there is room for 280 people. In the separate building there are three event rooms, where you get to celebrate undisturbed. In summer celebrations are particularly popular on the south-facing sunny terrace. The view to the Gosaukamm Ridge and the Alpine landscape is priceless. For larger events the neighbouring Dachsteinhalle is just perfect – it provides space for up to 1000 guests. Want to celebrate your birthday in the mountains in the Salzkammergut region and combine it with a hiking trip? Round off a Christmas celebration in the winter wonderland that is the Dachstein region with a day of skiing together? A gala dinner with Champagne reception on the sun terrace, while enjoying the views to the Dachstein massif? A wine seminar in the Heustadl? Or a romantic dinner in the Tennenboden? 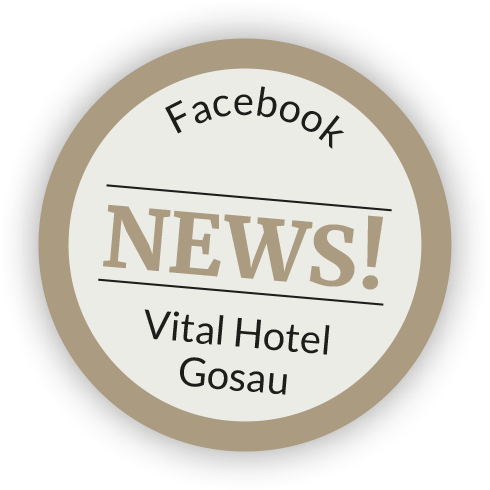 All this is possible in Vitalhotel Gosau. And much more. No matter what you choose, we are happy to organise your events for you! Austrian charm and typical hospitality are part and parcel of a celebratory programme in the event hotel. Look forward to a party in good company and feel like you are among friends. We look forward to welcoming you! 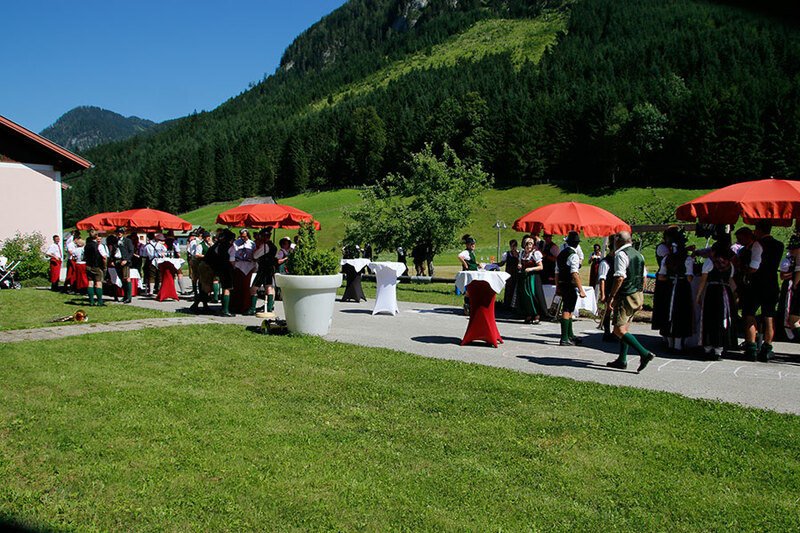 From your event location in Gosau the loveliest places in the Dachstein region are but a stone's throw away. Top excursion destinations include Bad Ischl, St. Wolfgang and the famous Hallstatt, which is a UNESCO world cultural heritage site. Take a trip to see the medieval Rudolfsturm, which provides a fantastic view to Hallstätter See. The best opportunities for outdoor activities can be found right on the hotel doorstep: mountain biking, hiking and winter sports – combine your celebration with an excursion together in the natural surroundings! Even more excursion tips in the Vitalhotel Gosau area..